UNISON has written to the Chancellor of the Exchequer, George Osborne, putting the case for a decent pay rise for local government workers. 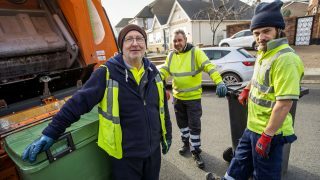 The local government employers are currently consulting local authorities over an offer for employees in England, Wales and Northern Ireland, and a response is expected in mid-February. 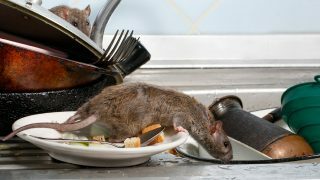 UNISON head of local government Heather Wakefield used the letter to stress that basic pay in the sector has “fallen by 18%”, that damaging “cuts to local conditions” have left women “the hardest hit” and that “a decent rise is affordable”. The letter also explained that low and lowering pay in local government has a negative economic and fiscal impact, as well as the individual and personal impacts. Research by the New Policy Institute was also sent to Mr Osborne, showing how much a decent rise would save central government, both through an increased tax and National Insurance take, together with a reduction in spending on in-work benefits. And Ms Wakefield also offered to meet the Chancellor to discuss the issue of low pay and the claim. 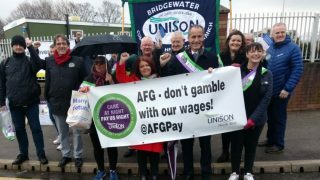 UNISON is campaigning for a fair deal on pay for local government workers. 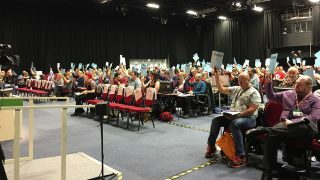 Council and school workers voted for strike action for fair pay. Local government workers in England, Wales and Northern Ireland voted for action after rejecting the employers’ pay offer of just 1%. A strike day took place on 10 July 2014.